Pinwheel Publishing: Cold Country featured on Indie Crime Scene! Cold Country featured on Indie Crime Scene! Quinn Galloway is in danger. Her husband has disappeared from their secluded cabin, the biggest snowstorm of the season is moving in, and she’s alone in the dangerous expanse of the Appalachian Mountains. There is a dark stranger on the mountain, and he’s set his sights on Quinn. By the time night falls the sweet, cozy cabin has become a snowbound prison, surrounded by plenty of predators. For Quinn Galloway, isolated and defenseless, winter is now the enemy. Over the course of a single spine-chilling night she must face all of her nightmares come true, and she might not make it off the mountain alive. 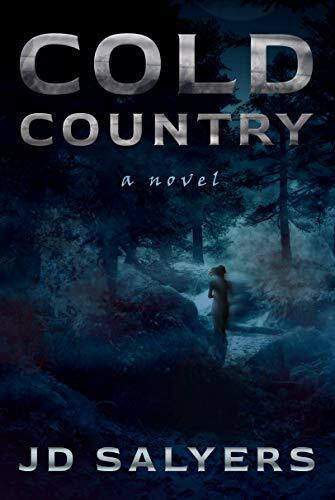 If you enjoy great wilderness thriller bestsellers from authors like Darcy Coates and Dean Koontz, you’ll love Cold Country! Pick up this ebook today! You can purchase Cold Country at Amazon.